To my HERO in life my son Eli this is for you baby. To all the Children who have passed away from Cancer and those fighting for their lives this is for you. Senator Andrew E. Dinniman, Adam SirRooch and Lt. Governor Mike Stack thank you from the bottom of my heart. Your Continued support in this FIGHT AGAINST Childhood Cancer means so much to so many most importantly to the Children. 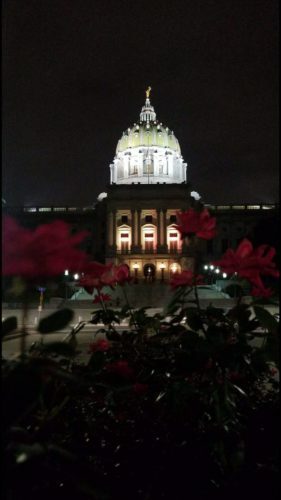 Harrisburg Capitol Building is #GOLD from September 1st to the 7th in recognition of Childhood Cancer Awareness Month. #SeptemberChildhoodCancerAwareness Eli Seth Matthews Leukemia Foundation, Inc.